By this point, you probably have caught a whiff of Gaultier’s Fall Couture presentation. The theme was ski culture and among the pieces inspired by exotic and glamorous chalets, skiing destinations and the jet-set who frequent them, were those that were inspired by the sari. And you couldn’t miss them. The sharply tailored black number worn with white stacked bracelets and a matching choker was an instant favorite. Sign me up for the après-ski cocktail hour. The other black draped dress with thin beaded border instantly reminded me of a Schiaparelli from the thirties. This tells you, much like the Grecian toga, the sari has inspired fashion through the ages. Both fabrics from ancient cultures/civilizations with distinct and distinguishing drapes. Jean Paul Gaultier’s clothes have a certain whimsy, a sort of magnified alternate fairy-tale reality to them. And so, looking to India for inspiration doesn’t surprise me. Back in 07, it was royalty that did the trick. 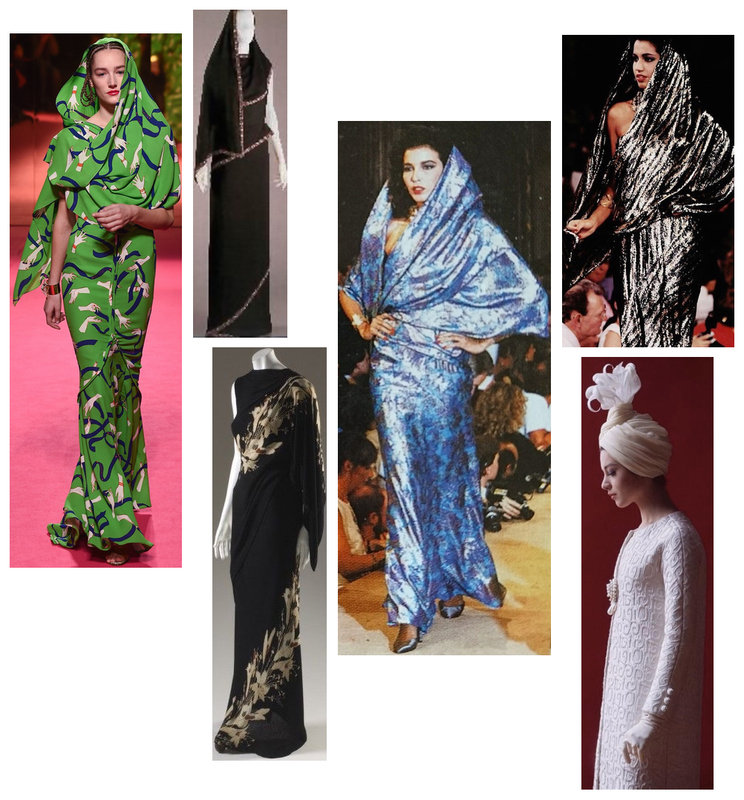 Coming back to the sari, it’s been a garment that has always caught couturiers’ attention. Schiaparelli did a draped black number in the 30s, a silhouette which was revised again more recently in 2015. At that time (30s-60s), the sari much like the cheongsam hinted at fetishizing of the ‘exotic’ East by the West. 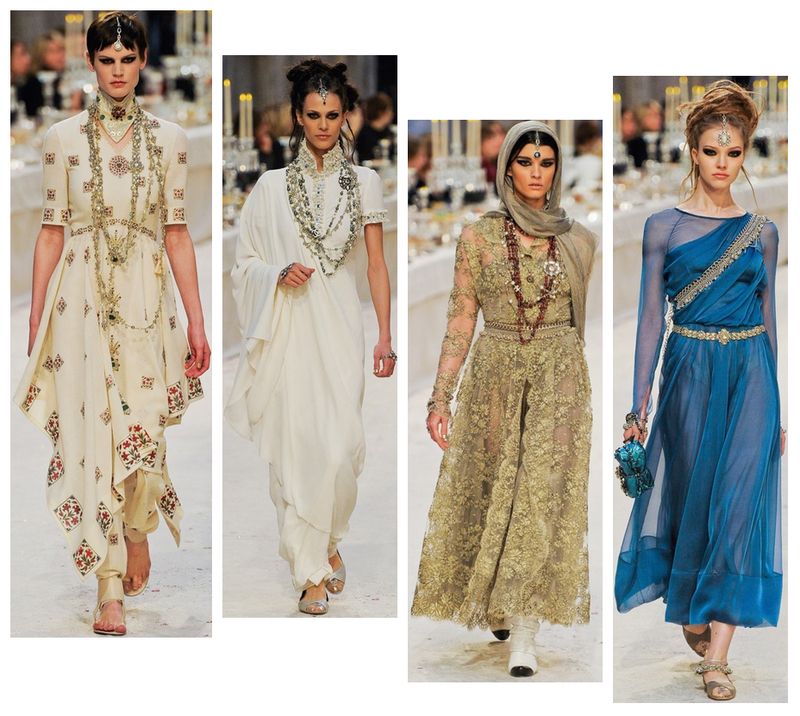 Between that and romanticizing royalty and colonialism, the sari, an elegant garment by itself got the nod of approval to be reinterpreted for the western palette from the upper echelons (and couture buyers). It’s easy to see the sari’s appeal… The drape is open to designer’s interpretation and even in it’s simplest, unadulterated form, open to the wearer’s. And perhaps, universally flattering. After seeing a picture of Hepburn in Life magazine’s May ’62 issue, Jackie Kennedy asked Oleg Cassini to create a version of the original Hubert de Givenchy design for her. 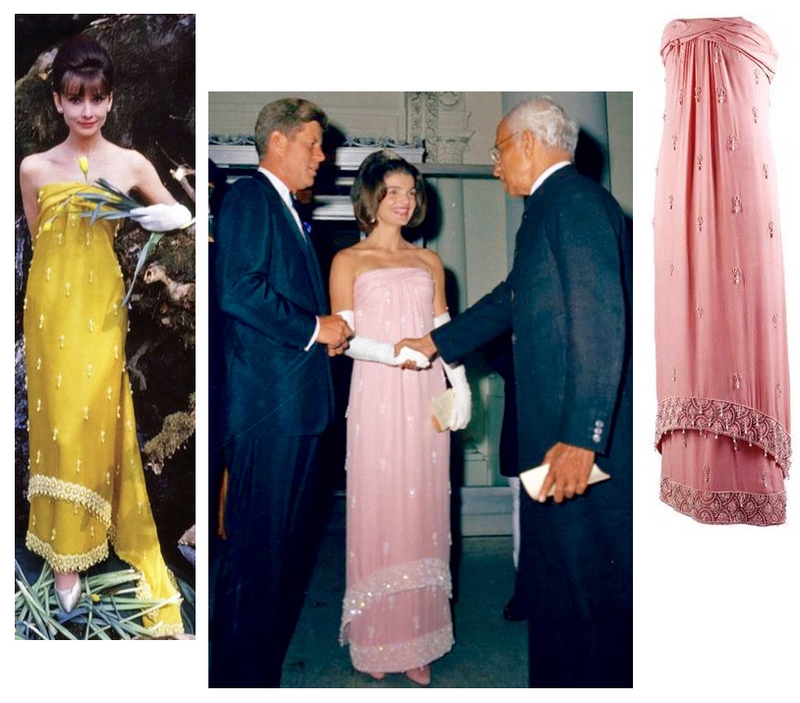 She wore the pink sari-inspired silk chiffon (beaded with porcelain and rhinestones) gown to a White House state dinner honoring President Sarvepalli Radhakrishnan in 1963. Incredible how the dress seems just as timeless today (could be the Hepburn-Kennedy effect too)! However, it hasn’t always been only saris. Other silhouettes, textiles and craft have heavily influenced designers outside of India as you will see in a snapshot of images below. The sari though is just a tad more special. The garment is uniquely dependent on its wearer. Each time it lends itself to the aesthetic of the wearer, both in how it is draped and styled. 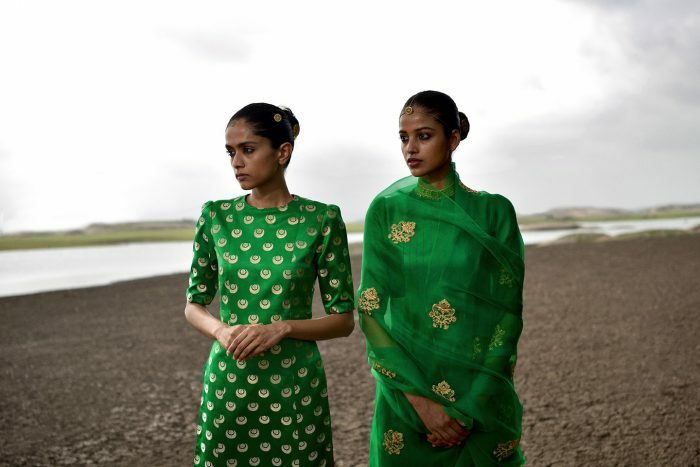 Among the young in India, saris are not as popular. But that is beginning to change gradually. 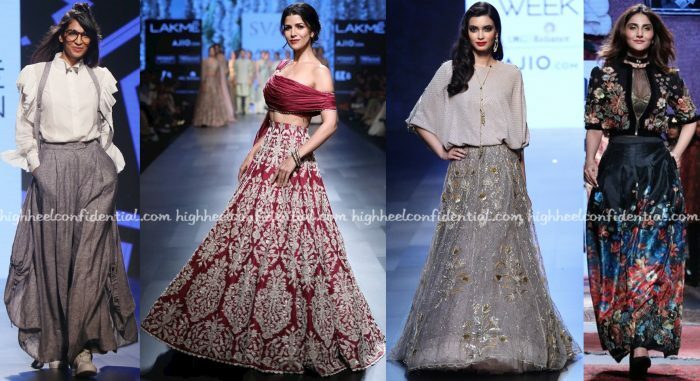 Re-interpreted silhouettes, sari-inspired gowns are like gateway drugs to the real thing. And every time a designer is influenced/inspired by it, it’s a notch for Team Sari. This timeless garment needs its due and it’s happening, albeit bit by bit. Have you heard of The Sari Series? We are thrilled to announce we are associate producers on one of the How-To-Drape films and can’t wait for you all to see it. We love our saris and are so excited to be able to lend our support in a small way! Yay saris! And that’s Sari, not sorry. I’ve been an early fan of Sanjay Garg’s sense and sensibility. The brightest of colors in his hands looked far from kitsch, and I love how the sari became lighter, truly easy breezy, all the while the traditional roots remaining intact. I still remember the day I bought my first two Raw Mango saris. It was pouring monsoon afternoon and the label had travelled to Calcutta for a trunk show. It was love at first sight. An indigo-meets-aubergine diaphanous chanderi with ganga jamuna border in matte silver and bronze. “Remember not to put a fall. You will be able to wear the sari either border up, depending on your jewelry. And anyway, traditional saris don’t need a fall, only chiffon saris do.” I had made studious mental notes back then. 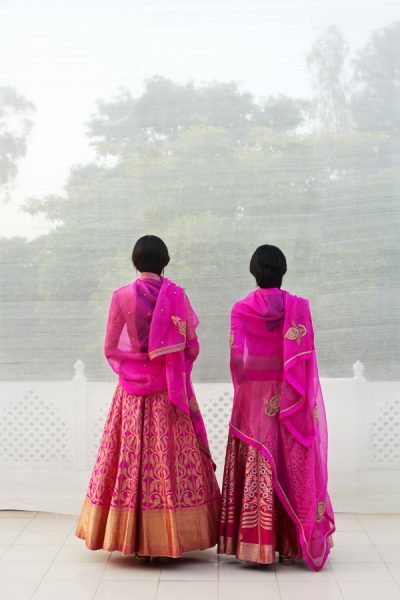 The second sari was rani pink with a lime green border. I wanted a signature Raw Mango, and in those days, that signature was a shot of lime green. First Raw Mango sari designed: In 2008, exploring the chanderi textile followers by Varanasi brocades and Mashru. What is the story behind the name Raw Mango? The name means many things — I love the pungent taste of raw mango, and the contrast of flavours and color. It speaks to the idea of beauty as imperfect and unripe. No one grows up in India without knowing this taste. Also, it is like the paisley motif — present across India and not identified with one particular place. You got a whole generation to befriend the sari. Looking back, was it a conscious effort on your part or did it happen organically? It happened organically. Of course, I wanted to change it but I’ve been fortunate that we’ve managed to organically help shift its perception. And for the girls out there who are still intimidated by the sari, what are some tips? The biggest tip would be to stop thinking of it as occasion wear. It is a garment that can be worn for a number of occasions including everyday. Having fun with the blouse is an easy start — I personally like it worn with a tube top/bustier. It looks like it’s worn without a blouse and is an elegant look. Experiment with the drapes, it great scope for experimentation. 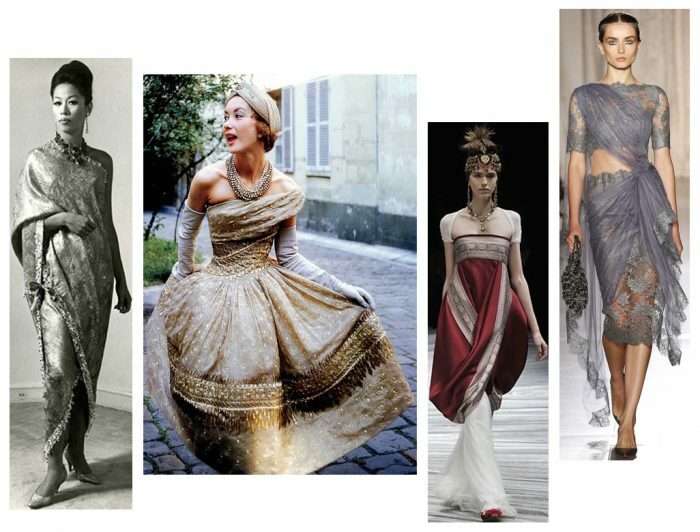 I think The Sari Series will help — it is a film anthology of draping styles and will be out in the Fall. It will have over 80 films showing how one can drape a sari. I’m an advisor to the project and am very excited about the possibilities this will open up. When we spoke last, you said you had a problem when people expect only kitsch from India. Do you think this perception is changing? It has changed a lot, and in this lifetime. That’s quite drastic and incredible to see. Since we introduced our brocade lenghas, we’ve seen a shift with brides and families wanting to wear outfits without embroidery. The same was true when we started work in Chanderi — that aesthetic from years ago still holds strong today. 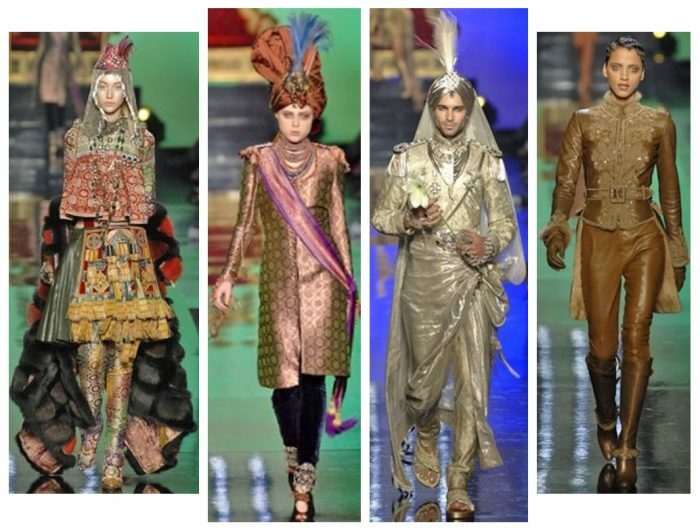 Where do you think Indian fashion is headed from a global standpoint? We need to have much more meaningful understanding within India first, rather than the world. I think we are far away from making any kind of meaningful impact. The Japanese brought their wabi sabi aesthetic to the world. We need to first see what India can bring to the table. I don’t believe it is only textiles, and I think many of us are working towards this pursuit. 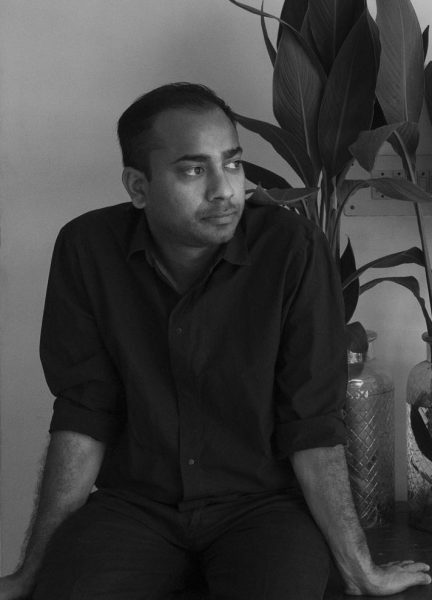 What prompted you to launch the Sanjay Garg brand? How is it different from the Raw Mango label? 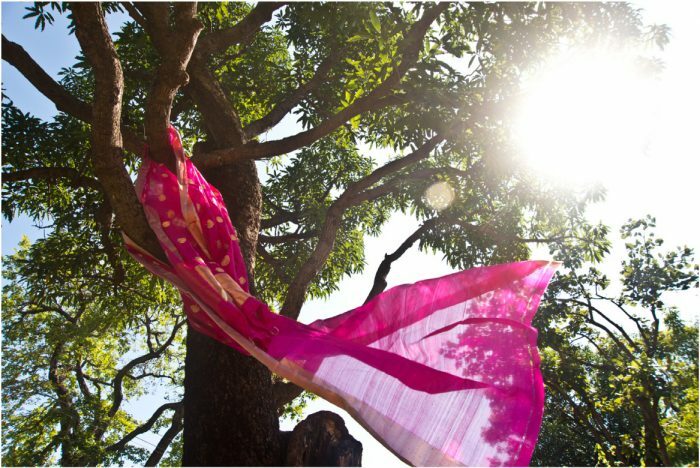 Raw Mango is a sari brand, and Sanjay Garg is our line of garments (lenghas, dresses, coats and separates). 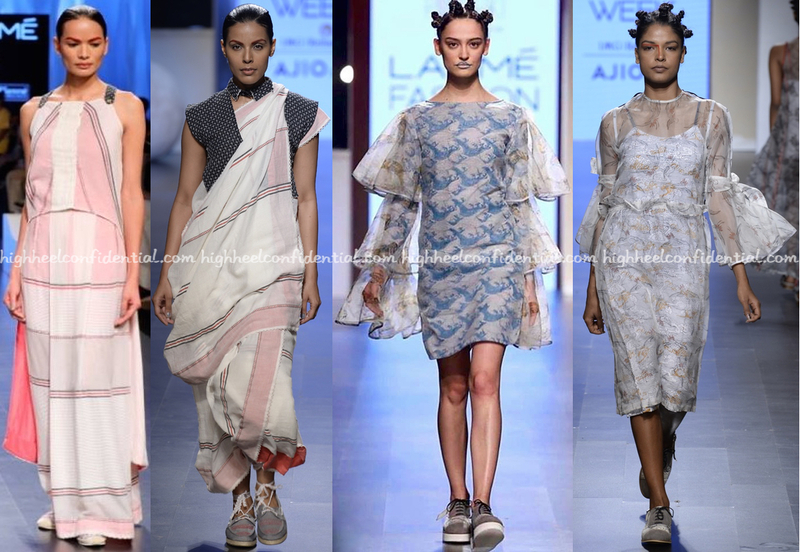 The DNA is the same, the textile development process is as involved, however, the intention behind Sanjay Garg was to give occasion wear options to women when they were not wearing a sari. 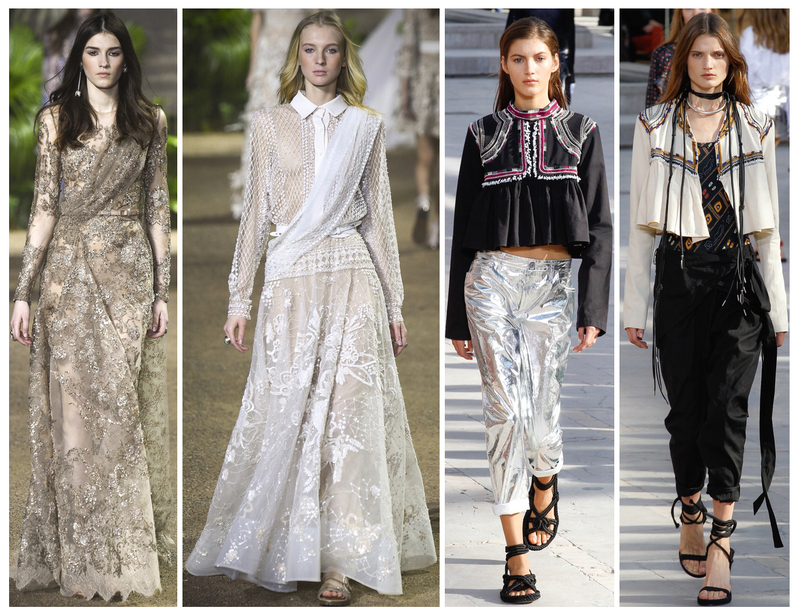 Which 5 traditional weaves must every woman have in her collection? There is nothing called ‘must’ but if you ask me, my favorites are Chanderi, Benaresi, Mashru, Jamdani and Kanjeevaram. Finally, what’s a Sanjay-approved finishing touch to a Raw Mango look? No jewelry and minimal make-up. I love how women naturally look. Star Speak is an ongoing series of columns, penned by celebrities we are used to seeing on these pages. This is their space to write about their take on fashion, the fraternity and whatever else catches their fancy. This week’s column comes from jewelry designer, Shaheen Abbas who shares four life lessons that will serve every woman well. You can follow Shaheen on Instagram here and on Twitter here. For every woman who has felt she is not skinny or beautiful enough: life lessons from someone who has been there, done that, and emerged (a little bit) wiser. I used to be one of those women, who would feel guilty for having zero control over food and berate myself for all the junk food that I ate, get pissed at the mirror over the slightest hint of a frown line, and obsess over those few extra kilos and grams on the weighing scale. How flawless I looked in that bodycon dress was the only (and truest) measure of my beauty, right? So damn wrong! Why are we women so hard on ourselves? The abs are never washboard enough, the arms never lithe enough, the skin never glowing enough… it’s like we take some sort of perverse pleasure in brooding over our flaws. We are addicted to bashing ourselves over our appearance. We’ll say YES to crash diets, unsupervised workouts, and complain about how “fat” we are, but it’s always a NO to the beautiful person that stares back at us in the mirror. Something stirred inside me during the last year of being in my 30’s (I turned 40 this March, in case you were wondering! ), and yanked me to a state of self-awareness. I decided to say a giant “F**k you!” to all these unhealthy insecurities that weigh us women down. I mean, after 14,600 days of dealing with these doubts and worries, it was about damn time that I felt like I had enough! If I wanted to celebrate myself (and not just the number of candles on my cake), there was no better time than now. So here I am. If you missed seeing us chat through the week on Instagram ‘Live’, you can now catch up on Youtube! P.S: Remember to subscribe. We are working on bring some fun content on our Youtube channel. While many of us are still struggling with the February Already syndrome, India’s first fashion week of the year has come and gone. 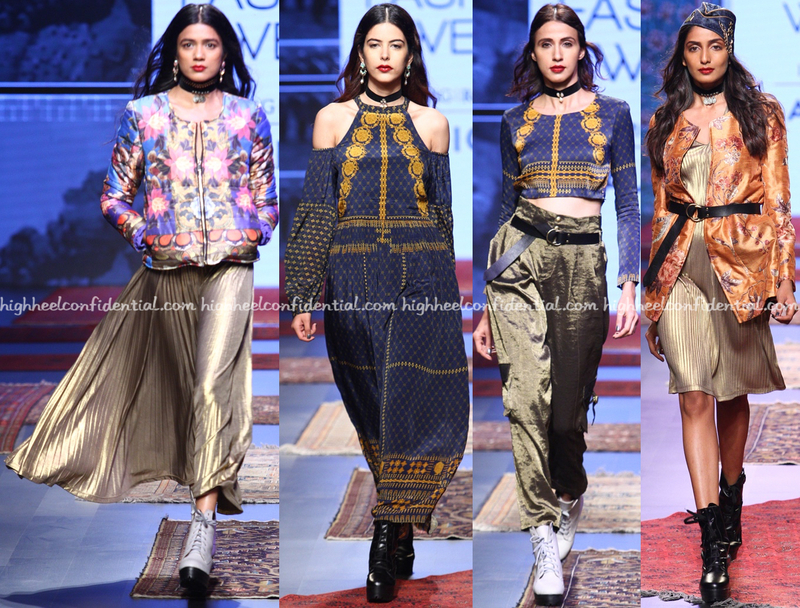 Held at Mumbai’s JioGarden from February 1- 5, Lakme Fashion Week Summer/Resort 2017 transported me to a mostly Mai Tai state of mind. I say mostly because sometimes I found myself in a sangeet. 1. You Go Gen Next! Starring a bunch of talented designers, LFW’s Gen Next Show kickstarts each edition. 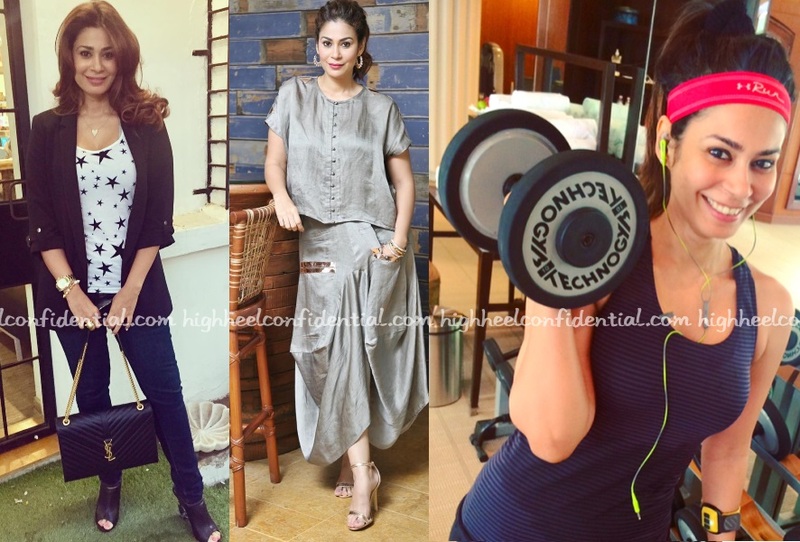 Some of these debutants go on to launch super successful labels, others win coveted awards and a few manage to do both. 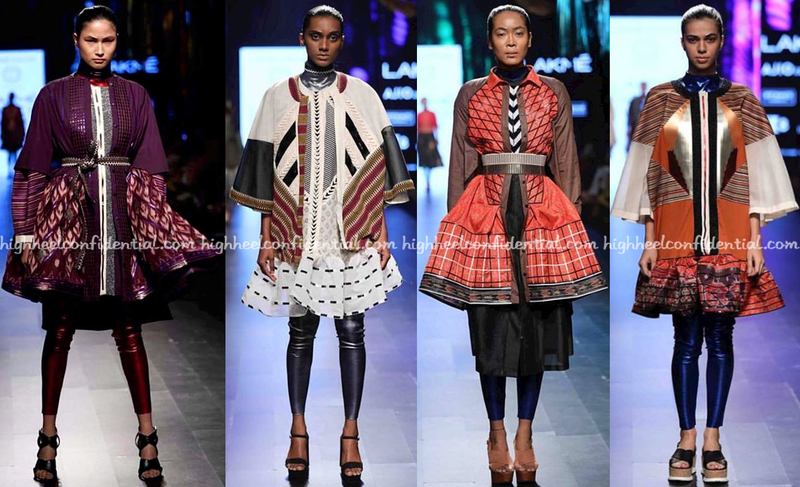 Two labels that caught my eye this season were Soumodeep Dutta for his unmistakable Bengal school of fashion vibe and Poochki for their billowing breezy separates. Not the Samsung phones but just the ridiculous number of stars that descend down on one fashion week. (The ridiculous number of fashion weeks is a whole other column). Sushmita Sen, Bipasha Basu, Tabu, Diana Penty, Malaika Arora Khan, Daisy Shah, Padma Lakshmi. 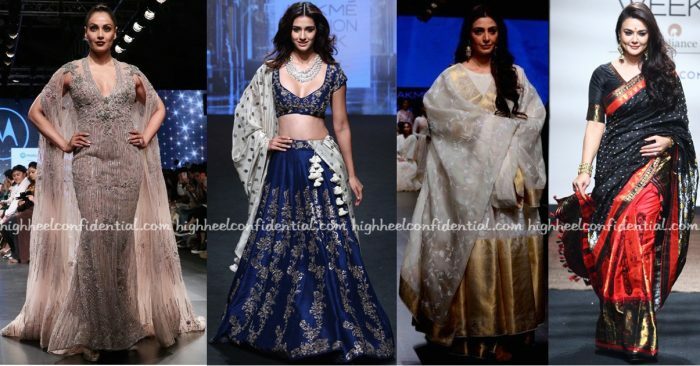 Sophie Choudry, Vaani Kapoor, Aditi Rao Hydari, Nimrat Kaur, Preity Zinta, Swara Bhaskar, Ayesha Takia… Showstopper. Overkill. Patola fused into plastic in AM.IT by Amit Aggarwal’s collection aptly titled Seamless. His pieces occupy the top 10 spots in my wishlist. Discarded saris, signature metallics and green means (and end) of fashion, this collection makes the right noises and looks equally fabulous. Now if only I can pre-order one of those dramatic pieces. And then find an OMG enough place to wear it to. Thanks to my blogger friends Priyanka and Payal who very helpfully coined the acronym DeBo (Desi Bohemian ICYMI), I am now convinced more than ever that DeBo is legit. Especially since nothing else seems to describe some looks from Label Ritu Kumar’s Maharaja Pop.